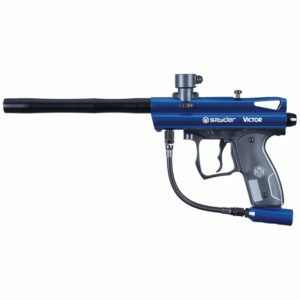 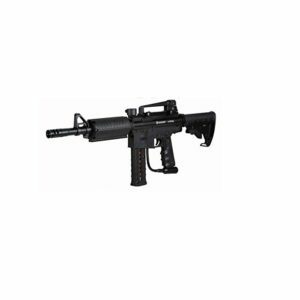 The Spyder MR6 Paintball Marker features the “DLS” Dual Loading System capable of shooting .68 Caliber Paintballs through a standard top loading hopper and lower mag-feed system. 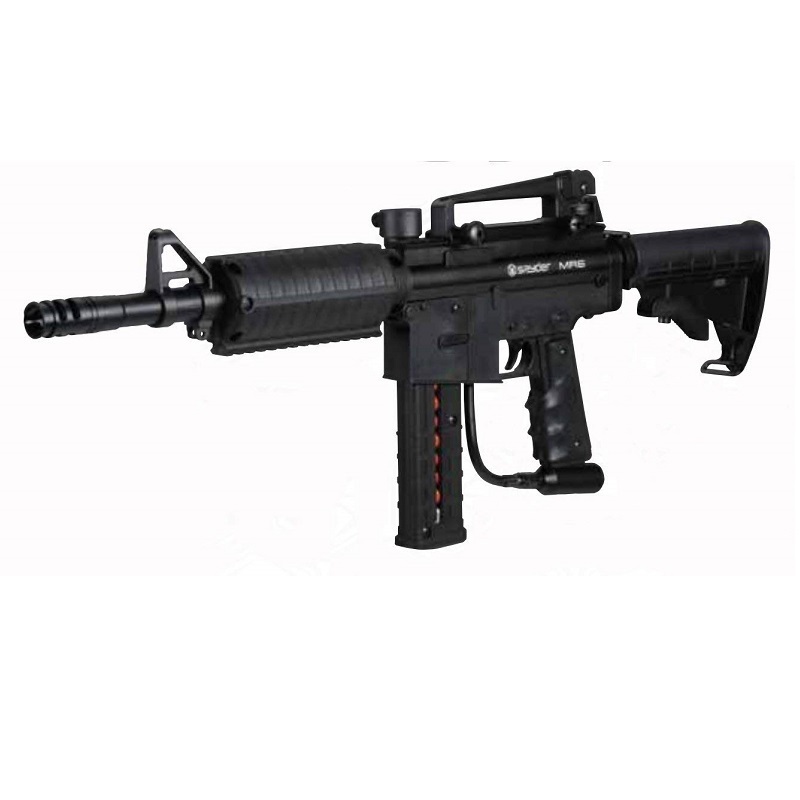 The innovative “DLS” Dual Loading System utilizes a unique patent pending design that enables the user to interchange the loading system with a quick turn of the barrel allowing the switch between a traditional top loading hopper and a lower magazine feed system during play. The Spyder MR6 is equipped to feed First Strike™ ammo through the included 9 round magazine.